Got Twitter ? Help PPY to Win This Survey! 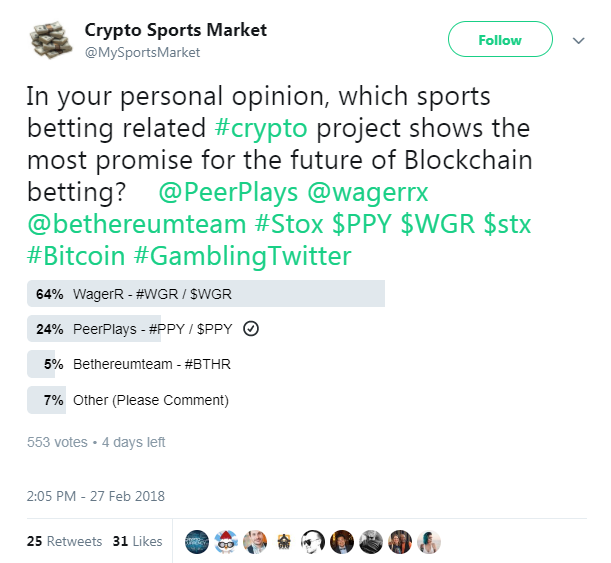 PPY aka Peerplays is based on Graphene - the same ecosystem as Bitshares and STEEM hence loads of users here should care about it. 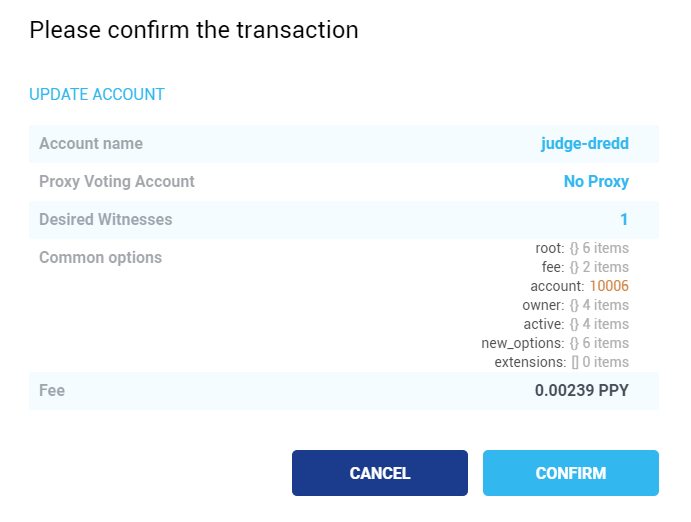 Currently, while we are awaiting Bookie and other apps on system PPY trades on Livecoin and Openledger by Bitshares. 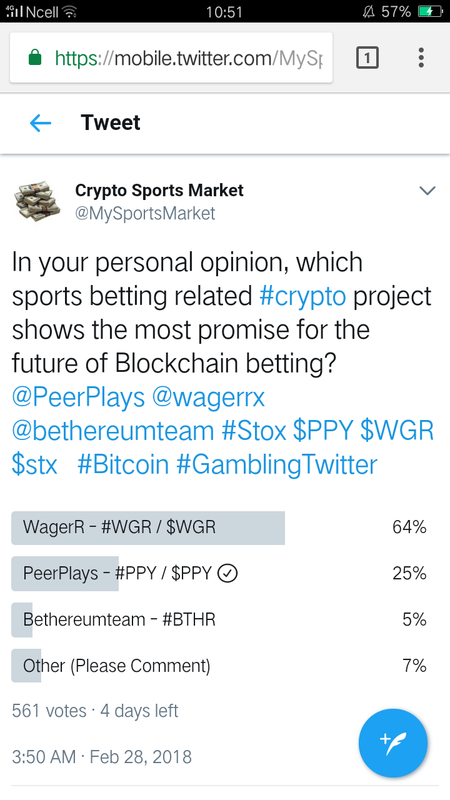 Currently, there is a voting on Twitter for sports betting related crypto project and it would be cool if PPY won this since its connected to STEEM and BTS with technology, devs also said graphene tokens will be exchanged on their DEX. thanks given cryptocurrency news . You got a 19.33% upvote from @minnowvotes courtesy of @kingscrown! You got a 5.88% upvote from @upmyvote courtesy of @kingscrown! I hit up that twitter poll for you and retweeted it. You got a 31.98% upvote from @sunrawhale courtesy of @kingscrown! very cool project, good job. Test your brain power to solve this puzzle and get upvote for correct answer. Now I have to get twitter. I'm missing out.